Check out this article by Jonathan Handel in The Hollywood Reporter regarding the ratification of a sound recording agreement with the major music labels by clicking here. Yanelba Ferreira just shot the trailer for the film short For Granted. 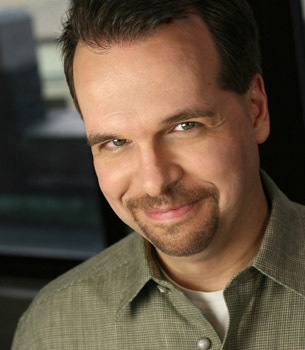 Written by Gabe Wilkenshaw and directed by Brad Rego, the project also starred Ant Grant and Michael Galante. For more information, click here. In addition, she booked an episode of the webseries "New York Minute." Written, directed and produced by Cyril Mahé, it also stars Gustavo Azael Torres, Lane Kwederis, Cat Peña, Ziad Tayeh, Vincent Zapicchi and John Zion. Rodney Roldán reports work on the television series "Damages" (FX). 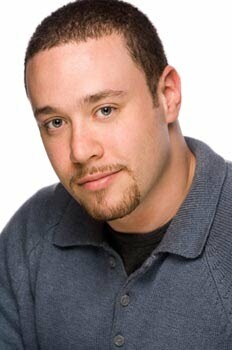 Mike Smith Rivera booked voiceover work on "Dora the Explorer" (Nickelodeon). 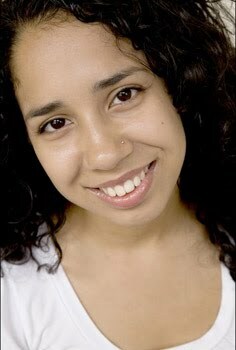 Suni Reyes has just become and improvisation house team member of The People's Improv Theater (The PIT), located in the Rose Hill section of Manhattan. For more information, about The PIT, click here. 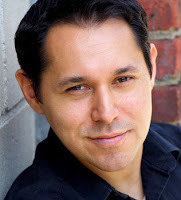 Gilbert Cruz booked a commercial for John Hancock Financial. Marcelo Rodríguez (also known as Marcelo "El Guapo" Rodríguez) can be seen, alongside Carlos Cabrera and Hugo Savinovich, as a commentator for the Spanish-language versions of the wrestling programs "RAW," "Friday Night SmackDown" and "ECW Wrestling" on various television networks. All are productions of World Wrestling Entertainment (WWE). The respective national boards of directors of the Screen Actors Guild (SAG) and the American Federation of Television and Radio Artists (AFTRA) have agreed to merge, subject to an agreeing vote from the memberships of both unions. What happens once the two unions (to be collectively called SAG-AFTRA) merge? Check out this article by Jonathan Handel of The Hollywood Reporter to find out more by clicking here. LOS ANGELES, CALIFORNIA, U.S.A. (Jan. 28, 2012) – The National Board of Directors of the American Federation of Television and Radio Artists, AFL-CIO – a national union of more than 70,000 actors, broadcasters, singers, dancers, recording artist and other performers who work across the spectrum of media industries including television, radio, cable, sound recordings and digital media – today voted overwhelmingly to approve and recommend to the AFTRA membership a plan to merge with Screen Actors Guild. The National Board met in a regularly scheduled meeting via videoconference in New York and Los Angeles to vote on the merger package put forward by the AFTRA and SAG Group for One Union (G1), which includes a Merger Agreement, Constitution and Dues Structure. The vote was 94%-6% in favor. The AFTRA National Board’s resolution will provide for the referendum material to be mailed to AFTRA members on or about Feb. 27, 2012, with a ballot return and tabulation deadline of March 30, 2012. This time frame was created to avoid interfering with the ratification period for AFTRA members to vote on the tentative agreement for the AFTRA Network Television Code (“Front of the Book”) – the union’s largest contract that covers programming in all television day parts (except for scripted primetime programs on the major networks and the CW, which are covered under the AFTRA Exhibit A contract) and programming produced for digital media. The AFTRA National Board unanimously voted to recommend the terms of the 2011-2014 Network Television Code agreement to AFTRA members for ratification. Ballots on the Network Television Code will go out on Monday, Jan. 30 with a return date of Feb. 22. The Merger package outlines the merger plan, dues and finance structure, membership requirements and other basic attributes of the successor union, including the proposed name for the new union, which is SAG-AFTRA. “I applaud the AFTRA National Board for their overwhelming approval of this historic merger package. The partnership we formed on the G1 was one of collegiality and consensus that went into laying the foundation for a new union. 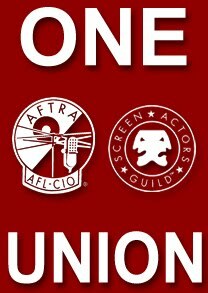 This plan embodies the thoughtful work and valuable perspectives from large and small markets across the nation of many working actors, broadcast professionals, recording artists and other performers who all worked together in solidarity through the G1,” said AFTRA National President Roberta Reardon. “I thank the G1 for their good work, and the National Boards for their approval and we will now present this plan to the members of AFTRA and SAG for their review and approval. “We now have the opportunity to finally stand united through one union to secure more union work and better benefits for our members, and for the generations of entertainment and media professionals who follow us," she added. On Friday, the SAG National Board of Directors overwhelmingly approved the same merger package with a vote of 87.1% - 12.9%. With AFTRA’s vote, a referendum will be sent out for a vote by members of both unions. BE IT FINALLY RESOLVED that the National Board expresses its deepest gratitude to and commends the members of AFTRA’s New Union Committee and AFTRA’s staff for their herculean efforts and extraordinary work in completing the merger documents and concluding the merger negotiations. The G1 began meeting in June of 2011 and held a total of five rounds of meetings to create the successor union merger package. The meetings followed an historic Listening Tour conducted by AFTRA National President Roberta Reardon and SAG National President Ken Howard. The G1 voted to approve the merger package on Jan. 16. The proposed merger is expected to be addressed at tonight’s SAG Awards that will be telecast on TNT. The AFTRA national board voted unanimously to recommend the terms for ratification. Ballots on the Network Television Code will be sent out Monday with a return date of Feb. 22, Simmons said in a statement. LOS ANGELES, CALIFORNIA, U.S.A. (January 27, 2012) – The Screen Actors Guild (SAG) National Board of Directors today voted overwhelmingly to approve and recommend a plan to merge with the American Federation of Television and Radio Artists (AFTRA). The board met in a regularly scheduled plenary meeting in the James Cagney Board Room at the Guild’s Los Angeles headquarters and voted after reviewing a merger package put forward by the SAG and AFTRA Group for One Union (G1) that includes a Merger Agreement and Constitution. Collectively, these documents outline the plan of merger, dues and finance structure, membership requirements, and other basic attributes of the successor union. The same merger package must now be approved by AFTRA’s National Board of Directors which is scheduled to meet on Jan. 28, to review and vote on the package. Should the AFTRA board approve the merger package as well, a referendum will be sent out for a vote by members of both unions in the coming weeks. The proposed name for the new union is SAG-AFTRA. The G1 held five rounds of meetings to create the successor union merger package. The meetings, which began in June of 2011, followed an historic Listening Tour conducted by SAG National President Ken Howard and AFTRA National President Roberta Reardon. The G1 finished its work January 16 with a vote approving the merger package debated and approved today by the SAG National Board. 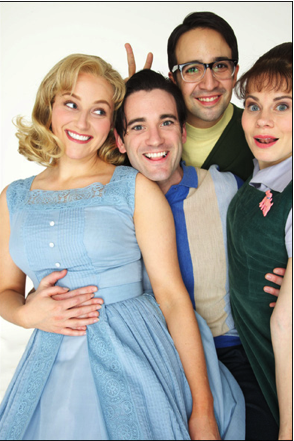 L in-Manuel Miranda (shown third from left in this production photograph at left by Peter Cunningham), along with Betsy Wolfe, Colin Donnell and Celia Keenan-Bolger, will be seen in the City Center Encores! presentation of Merrily We Roll Along. The musical, based on a play by George Kaufman and Moss Hart, has a revised script by Stephen Sondheim and George Furth, will feature famed director James Lapine at the helm, musical direction by Rob Berman, musical staging by Dan Knechtges and orchestrations by Jonathan Tunick. The tuner will run in February at City Center in the theater district in midtown Manhattan. For more information, click here. Robmariel Olea, shown at right, was interviewed for the Dominican Republic newspaper El Nacional. To see the article (in which HOLA also receives a mention), click here. 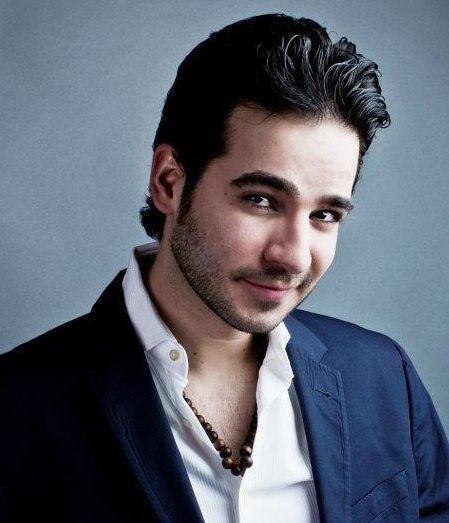 Modesto Lacén is playing the role of Bertrand Dupont in "Relaciones peligrosas" (Telemundo). 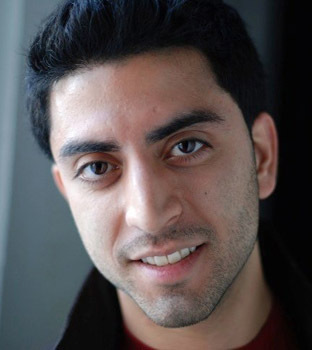 Mauricio Alexander reports work on "Law & Order" (NBC) and that he is filming his followup to his film (co-produced by X-Mas Tequila) titled A Special Holiday Digital Short. 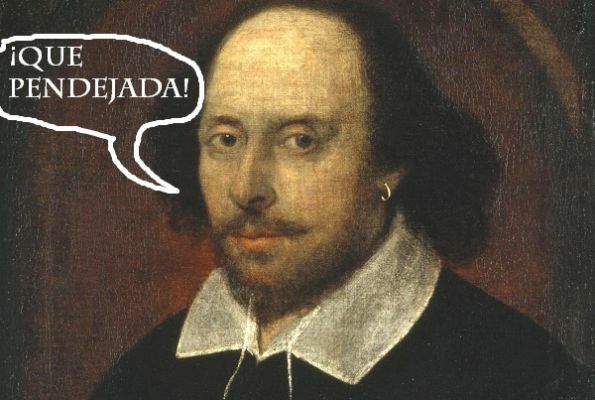 Check out this article by Meg James in the Los Angeles Times about Univision's plans to add English-language subtitled closed captioning for their Spanish language telenovelas (soap operas) by clicking here. The Academy of Motion Pictures, Arts and Sciences has chosen to exclude movies made in Puerto Rico from competing in the category of Best Foreign Language Film. There has been an understandable outcry in Puerto Rico for this arbitrary change in the rules. Puerto Rico was nominated in 1990 for Lo que le pasó a Santiago (from Jacobo Morales). The film lost to Italy's Cinema Paradiso. La Academia de Artes y Ciencias Cinematográficas de Hollywood ha decidido a excluir de ahora y adelante las películas producidas en Puerto Rico para su competencia en la categoría de Mejor Película Extranjera. Ha habido una gran protesta en la Isla por esta decisión tan arbitraria. Puerto Rico fue nominado en 1990 por Lo que le pasó a Santiago (del director Jacobo Morales), pero perdió a la nominación italiana Cinema Paradiso. Para más información en español, haz clic aquí. This year Mexican actor Demián Bichir, shown at left, was nominated for and Academy Award for Best Actor for his performance in the film A Better Life (directed by Chris Weitz, coincidentally also of Mexican heritage). Other Latinos/Hispanics to be nominated for the 2012 Oscars include the Argentine-born and French-raised Bérénice Bejo, pictured above, at right, for Best Supporting Actress in the film The Artist; Spaniards Fernando Trueba and Javier Mariscal, nominated for Best Animated Film for Chico & Rita; Mexican Emmanuel Luebezki, nominated for his cinematography of The Tree of Life; Brazilians Sérgio Mendes and Carlinhos Brown for Best Original Song for their song "Rio" for the film Real in Rio; and Spaniard Alberto Iglesias, nominated for Best Original Score for the American film Tinker Tailor Soldier Spy. Over the 84-year history of the Academy Awards, Oscar nominations have been given to Latino/Hispanics from Argentina, Brazil, Chile, Colombia, Mexico, Puerto Rico, Spain, Uruguay and the United States... and not just in acting. • For a list of Mexican Academy Award winners and nominees, click here. The list of Academy Award winners (as of press time) from Latin America and Spain is below. Eugenio Zanetti (art direction); Gustavo Santaolalla [twice] and Luis Enríquez Bacalov (original score); Luis Puenzo and Juan José Campanella (foreign film). Anthony Quinn (acting) [twice]; Emile Kuri [twice], Brigitte Broch, Eugenio Caballero and Pilar Revuelta (art direction); Robert Amram (short subject and documentary short subject; the first and only time a film was given Oscars in both categories in the same year); Guillermo Navarro (cinematography); Beatrice de Alba (makeup). Javier Bardem and Penélope Cruz (acting); Gil Parrondo [twice] and Antonio Mateos (art direction); Néstor Almendros (cinematography); Yvonne Blake and Antonio Castillo (costume design); José Luis Garci, Fernando Trueba, Pedro Almodóvar, Alejandro Almenábar (foreign film); Pedro Almodóvar (screenplay); David Martí and Montse Ribé (makeup). 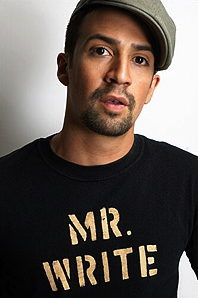 Lin-Manuel Miranda, shown at left, has partnered with Lincoln Medical and Mental Health Center in the Bronx to introduce an innovative program that allows artists of all disciplines the opportunity to exchange their creative services for medical care. The program, "Lincoln Art Exchange," is designed to address the growing number of independent and freelance artists who cannot afford to enroll in health insurance plans and have become an at-risk population that lacks access to quality health care. For more information, check out this article by Michael Gioia of Playbill by clicking here. Caridad De La Luz (also known by her nom de poésie et de musique La Bruja) performed her music at The Delancey, located in Manhattan's Loísaida neighborhood. 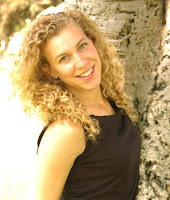 For more information on her and her music, click here. Robmariel Olea, shown at right, was interviewed for the Dominican Republic newspaper Hoy. To see the article, click here. Rodney Roldán nabbed a role on "FBI: Criminal Pursuit" (Investigation Discovery). 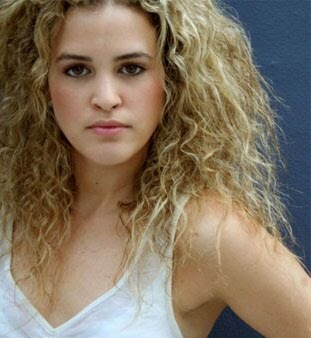 Emmanuelle Bordas booked a voiceover with Ibero-American for a public service announcement that talks of the dangers of texting while driving. Check out this article by Georg Szalai of The Hollywood Reporter which talks about how Rupert Murdoch's News Corp. wants to challenge U.S. Spanish-language broadcast networks Univision and Telemundo by launching a rival network (called MundoFox and part of Fox International Channels) in partnership with Colombia's RCN Televisión by clicking here. Jeffrey Hernández, shown at left, booked a role on the film short Todo Bien (directed by Eunsun Koh) after the director saw his profile on the HOLA talent directory and called him in to audition. 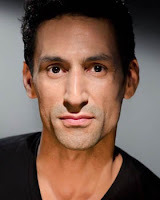 Antonio Miniño will play Diggory in MTWorks' workshop of On Egdon Heath, a new adaptation by David Stallings of Thomas Hardy's novel The Return of the Native. 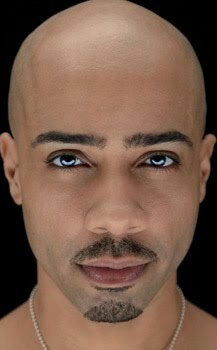 Directed by Glory Kadigan, it will take place in February at the City College of New York in Manhattan's Harlem neighborhood as part of the 2012 National NewBorn Festival. For more information, click here. 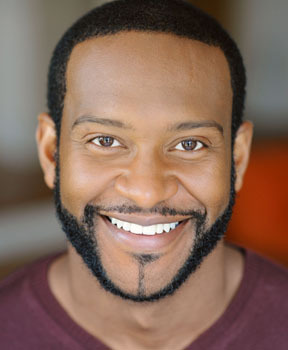 He will also appear in The Stranger to Kindness, written by David Stallings and directed by Heather Cohn. Produced by D&A Productions, Goode Productions & Fab Marquee Productions, it will be presented as part of FRIGID New York in February and March at The Kraine Theater in Manhattan's East Village. It also stars Susan G. Bob and Mick Hilgers. For more information, click here. 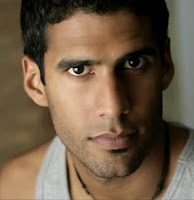 Manny Jiménez acted in an episode of "Prime Suspect" (NBC). Ángelo Mercado, Jr. just booked a role in the pilot "Frog Kissers," directed by Debra Kirschner. Ángel Pastrana nabbed a role in From the Inside. Written by Nicole Vanessa Díaz and Richard Thomas Henle and directed by Henle, the play will have a March run in the Manhattan Repertory Theatre, located in the theater district of midtown Manhattan. Suni Reyes is currently workshopping her new improv show Insane Harold at the People's Improv Theater (PIT) located in the Rose Hill neighborhood of Manhattan. 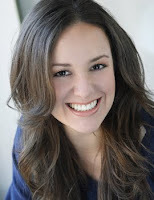 Teresa Yenque (esq.) 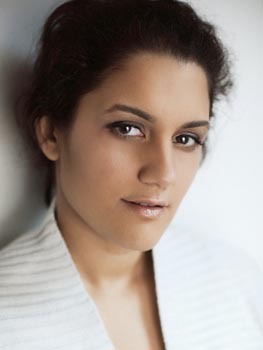 and Sarah Valle (der.). Desde sus inicios en esta ciudad se integró al Teatro de Las Américas de Nueva York, bajo la dirección del también recientemente desaparecido, Miguel Ponce. En 1969, Graciela Mas trabajó en varias obras dirigidas por Ponce, junto a Orestes Matacena, Rubén Rabasa, Ileana Aste e Iván Acosta. Graciela era muy querida y admirada por todos sus compañeros de los distintos grupos de teatro latino en Nueva York. El 23 de abril del 2011, Graciela asistió por última vez a la entrega de premios ACE, para recibir el Premio Extraordinario ACE 2011 por su trayectoria profesional. Que en Paz Descanse, nuestra inolvidable y querida amiga y compañera, Graciela Mas. Teresa Yenque (left) and Sarah Valle (right). 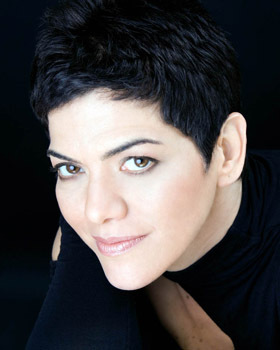 From her beginnings in this city, she joined the Teatro de Las Américas in New York, under the direction of the also recently deceased Miguel Ponce. In 1969, Graciela Mas acted in various plays directed by Ponce, together with Orestes Matacena, Rubén Rabasa, Ileana Aste and Iván Acosta. Graciela was much beloved and admired by all of her colleagues in the Latino theater scene in New York. 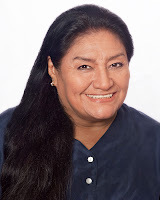 On April 23, 2011, Graciela made one of her last appearances at the 2011 ACE Awards, where she received the ACE Award of Extraordinary Achievement for the great work throughout the breadth of her career. 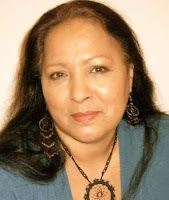 Rest in Peace, our unforgettable and dear friend and colleague, Graciela Más. Check out this article from the Huffington Post regarding the stereotyping of mature Latina actresses as the maid or grandmother (abuela in Spanish) roles. Teresa Yenque, Míriam Colón, Lupe Ontiveros and Altagracia Guzmán (the first two are HOLA members and are shown at right, from left to right) are featured in the article, which you could read by clicking here. Actor José Ferrer will be immortalized on a First-Class Forever Stamp in 2012 as the 14th luminary celebrated in the U.S. Postal Service’s Distinguished Americans series. 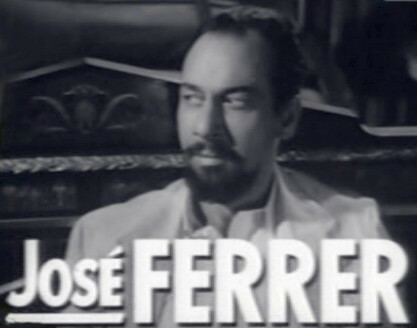 Considered one of the most accomplished talents of his generation, Ferrer (1912-1992) won several Tony Awards for his work on stage and performed in more than 60 movies, garnering three Academy Award nominations. He received a Best Actor Oscar for his performance as the title character in Cyrano de Bergerac, becoming the first Hispanic actor to do so. The portrait featured on the stamp is an oil painting by Daniel Adel of Cold Spring, New York, U.S., based on a photograph of Ferrer. Adel worked under the direction of art director Antonio Alcalá of Alexandria, Virginia, U.S.
Born in Santurce, Puerto Rico, a district of San Juan, Ferrer’s father, an attorney, moved the family to New York City when Ferrer was 6 years old. Always an excellent student, he passed the Princeton University entrance exam at age 15, but was considered too young to attend and spent a year in a boarding school, Le Rosey, in Switzerland. He entered Princeton at age 16 and graduated with the class of 1933. He conducted postgraduate work at Columbia University with the intention of becoming a teacher of languages. However, he had discovered his love of acting while in college, and in 1935, made his first appearance on Broadway, a one-line part in the play A Slight Case of Murder. 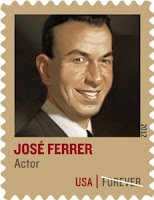 El actor José Ferrer será inmortalizado en un Sello Forever de primera clase en el año 2012 como el 14to luminar celebrado en la serie de Estadounidenses Distinguidos del Servicio Postal de los EE.UU. Considerado uno de los talentos más exitosos de su generación, Ferrer (1912-1992) ganó varios Premios Tony por su trabajo en el escenario y actuó en más de 60 películas, obteniendo tres nominaciones para el Oscar. Él recibió un Oscar como Mejor Actor por su actuación como el personaje principal en la película Cyrano de Bergerac, siendo el primer actor latino a hacerlo. El retrato mostrado en el sello es una pintura al óleo por Daniel Adel, de Cold Spring, Nueva York, EE.UU., basado en una fotografía de Ferrer. Adel trabajó bajo la dirección del director de arte Antonio Alcalá, de Alexandria, Virginia, EE.UU. Habiendo nacido en Santurce, Puerto Rico, un distrito de San Juan, el padre de Ferrer, un abogado, mudó a la familia a la Ciudad de Nueva York cuando Ferrer tenía 6 años de edad. Siempre un estudiante excelente, él aprobó el examen de admisión para la Universidad de Princeton a los 15 años de edad, pero lo consideraron muy joven para asistir a la universidad, así que pasó un año en un internado en Le Rosey, Suiza. Él empezó sus estudios en Princeton a los 16 años y se graduó con la clase de 1933. Él hizo sus estudios de postgrado en la Universidad de Columbia con la intención de convertirse en un maestro de idiomas. Sin embargo, él había descubierto su amor de actuar mientras estaba en la universidad, y en 1935, hizo su primera presentación en Broadway, un personaje con solo una línea, en la obra A Slight Case of Murder. Omar Pérez joins the cast of Luis Caballero's DC-7: The Roberto Clemente Story. Directed by Caballero, the Teatro SEA production is produced by Manuel A. Morán and choreographed by Luis Salgado. 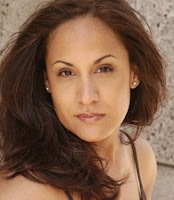 The actor joins Modesto Lacén, Lorraine Vélez, Josean Ortiz and Morán in the transfer to the off-Broadway house, The Puerto Rican Traveling Theatre, located in the theater district of midtown Manhattan for an open-ended run that starts in February. For more information on the show, click here or here. 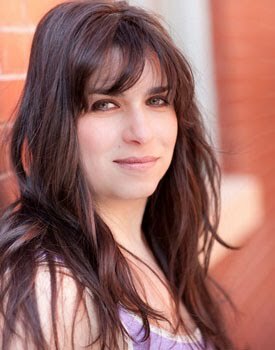 Laura Riveros will be performing as F in the experimental theater piece Escalation in 9 Exegeses Performed by a Troupe of Exegetic Clowns. 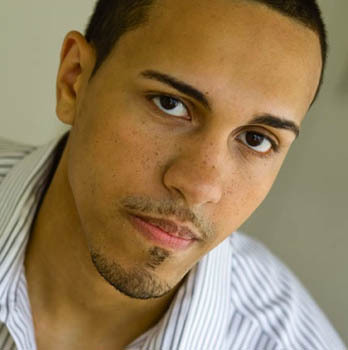 Written by Matt Reeck, it will be performed in February at Dixon Place, located in Manhattan's Loísaida neighborhood. For more information, click here. To buy tickets, click here. 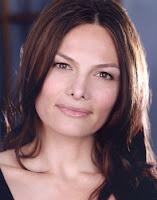 Soledad del Río booked a voiceover with Ibero-American for a public service announcement that talks of the dangers of texting while driving. 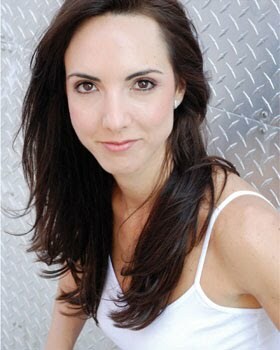 Marina Durell started off the new year with a bang as she booked a national commercial for the pharmacy chain CVS. 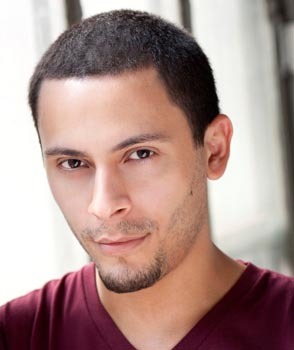 Javier E. Gómez booked a role in the workshop production of Yes! The Musical. Written by Earl Wilson, Jr. and directed by Mercedes Ellington, the production will take place in March at the Rose Nagelberg Theater at the Baruch Performing Arts Center, located in the Rose Hill neighborhood of Manhattan. 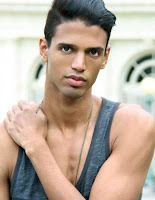 Luis Galli will play the role of Mariano in the film Teresa, la novia del Libertador. The joint Cuban-Peruvian production will be helmed by Rocío Llado (whose last film Vidas paralelas was a huge hit on the worldwide film festival circuit). 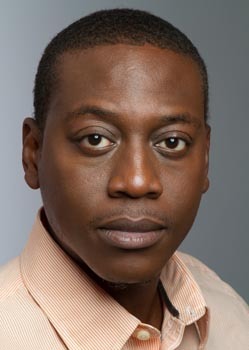 The suspense thriller will begin filming in March 2012. The film, which opens in Los Angeles and NYC on Friday, January 20, 2012 and is Mexico's official submission for the Academy Awards in the category of foreign-language film, has been much talked about ever since its premiere at the Cannes Film Festival and throughout its run at top festivals in Toronto, New York and Los Angeles. Miss Bala Trailer Reloaded English from Miss Bala on Vimeo. Storyline: With a title that translates as the punning "Miss Bullet," the Mexican film Miss Bala is based in part on the real-life story of a beauty pageant winner who was arrested alongside a drug gang and paraded before the media amid accusations of corruption behind her crown. It aims to not only be a provocative, thoughtful action film for the art house, looking at the overwhelming problems of the drug-trafficking epidemic in Mexico, but Miss Bala also marks an ambitiously bold step forward for director Gerardo Naranjo. Miss Bala is nominated for a 2012 Goya Award (Spain's highest film award) in the category of "Best Spanish Language Foreign Film" to take place in Madrid, Spain on Sunday, February 19, 2012. For more information, click here. Frank Nestor of the national trade publication Back Stage wrote an article titled "TheaterWorks' 'The Motherf**ker With the Hat' Raises Casting Questions" about the casting choices that take place for the Stephen Adly Guirgis-penned play at TheaterWorks Hartford. You could read it by clicking here. The film Blackthorn (written by Miguel Barros, directed by Mateo Gil and starring Sam Shepard, Stephen Rea, Eduardo Noriega and Fernando Gamarra) is nominated for 11 Goya Awards, including nods for Best Screenplay and Best Picture. The Goyas are Spain's equivalent of the Academy Awards and are set to take place on Sunday, February 19, 2012. 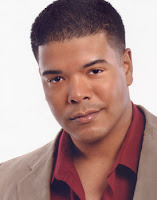 Rodney Roldán nabbed a role in the television program "Killer Voices" (Investigation Discovery). 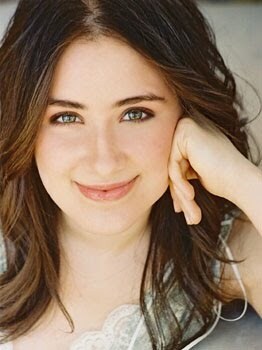 Alicia Kaplan will star in the Vermont Stage Company production of Sarah Ruhl's play The Clean House. Directed by the theater's new artistic director Cristina Alicea, the production also stars Dana Block, Deanna McGovern, Paul Ugalde and Ruth Wallman and is scheduled for a January and February run at Flynnspace in Burlington, Vermont. For more information, click here. Duo Multicultural Center for the Arts is presenting All About Meat (The Garcías). A new comedy written and directed by Michelangelo Alasá, it stars Mario Bósquez, Cat Lippencott, Cristina Madero, Antonio Miniño, Elisa de la Roche, Facundo Rodríguez, Andrés de Vengoechea and Israel Viñas and is scheduled for a March and April run at Duo's eponymous theater located in Manhattan's East Village. For more information, click here. Teresa Yenque. Excellence at Work. 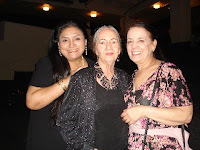 Teresa Yenque, shown at left, was mentioned in a Jezebel article touting her as "The Only Living Maid in Law & Order's New York." She has played either a maid or a grieving relative of a victim on no less than seven episodes of the NBC television series "Law & Order" and "Law & Order Special Victims Unit." The website also said that she was playing stereotypical roles. Octavia Spencer spoke to the idea of playing a maid in her acceptance speech for her 2012 Golden Globe for her work in The Help. She said, "You know, with regards to, domestics in this country, now and then, Dr. [Martin Luther] King said it best, 'All labor that uplifts humanity has dignity and importance,' and I thank you for recognizing that with this film." Click here and here for more info. Lupe Ontiveros also speaks about playing a maid in this video. And while having a Latina play a domestic may be stereotypical, we do salute the consistently stellar work she brings to the stage and screen. Besides, we know a lot more about this well-rounded, talented artist. This longtime HOLA member was recently honored with a 2011 HOLA Award of Special Recognition for her over 40 years of work in film, television and theater. 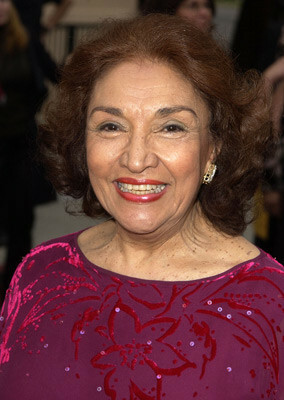 Her film credits include Critical Condition, The Yards, Abuela's Revolt, La ciudad (The City), The Blue Diner (which starred her son José Yenque), Trust the Man, Liberty Kid, Cedar Rapids, Musical Chairs, and others. Her television credits include the recurring role of Carmela on "Ed," "30 Rock" (where she played Salma Hayek's grandmother), "The Division," "Rescue Me," "The Sopranos," "Hope and Faith" and the abovementioned "Law & Order" and "Law & Order Special Victims Unit" episodes. For more information, click here. Onstage, she appeared on numerous theaters across New York City and regionally across the U.S.. She also appeared on Broadway in the Roundabout Theatre revival of Tennessee Williams' play A Streetcar Named Desire at New York's famous Studio 54. The revival starred Natasha Richardson and John C. Reilly. This blogger saw that production and in this blogger's humble opinion, Ms. Yenque stole every scene in which she appeared. She is a jewel in the Latino theater scene (and New York and American theater scenes). Her work in film and television has been always been memorable and of the highest caliber. In her own words, "Nobody knows Teresa Yenque... by name. 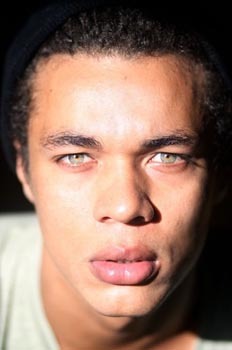 They know my face though. And when people stop me in the street and tell me that I made them laugh in this film or made them cry in this show, I feel good because it means I am accomplishing my mission as an artist." Hopefully, more people will know her name as well as her face. Someone of her talent deserves that much. In May 2010, Governor Jan Brewer of Arizona signed into law a ban on "ethnic studies" throughout the state of Arizona. For more information on the law, click here. James E. García, Linda Váldez and Donald H. Smith, writing for the National Institute for Latino Policy (NiLP), expressed their viewpoints on the controversial law. Read them here. Matt Barbot of Remezcla highlights that the law has led to book bannings, including some surprising choices of books that are banned. He lists some of them (and how to buy them) on his blog, which you could read here. Check out this analysis by Jonathan Handel of The Hollywood Reporter on the ongoing process regarding merger of the Screen Actors Guild (SAG) and the American Federation of Television and Radio Artists (AFTRA) by clicking here. Vanessa Verduga has many projects on her plate. She is filming the second season of the webseries "Justice Woman." A comedy that follows the story of Assistant District Attorney Sofía Escala (played by Verduga), who is determined to fight injustices within the legal system, the series is written by and stars Verduga. 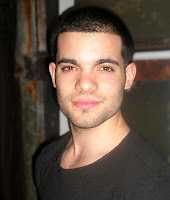 The series also stars Lee J. Kaplan, Luke Guldan, Mary S. Porter, Omar González, Nina Rochelle, Colin Blackard, Alison Ryan, Lino Del Core, Chiz Schultz, Jessica Fontaine, Tom Mahon, Stephen Sheffer and Josh Rodríguez with webisodes being helmed by Verduga, González, Del Core and Robert Gregson. It will premier in March 2012. For more information, click here or here. She is also co-producing the film H.O.M.E. (The Passenger) by Gaslight Films. Written by Héctor Carosso and Daniel Maldonado and directed by Maldonado, the film will go into production this winter. For more information, click here. For more information on Verduga, click here or here. Josean Ortiz and Fanny Rybin star in the world premiere of the Nicolás Dorr play Breve temporada de invierno. Directed by Ortiz, the two-hander is scheduled for a January run at Roy Arias Theaters in the theater district of midtown Manhattan as part of the Times Square International Theater Festival. 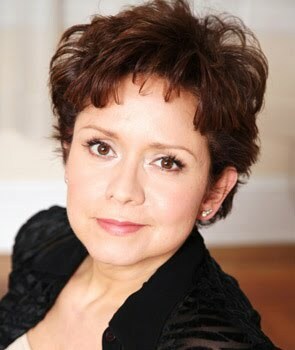 Emmanuelle Bordas will be singing in the world premiere of French Lessons. An opera based on Eugène Ionesco's play, French Conversation and Diction Exercises for American Students, it was composed by Ionel Petroi and directed by Susan González. The opera will have two performances in January at Lang Recital Hall at Hunter College in the Upper East Side section of Manhattan. For more information, click here. The hit Teatro SEA musical DC-7: The Roberto Clemente Story is moving off-Broadway. Written and directed by Luis Caballero, produced by Manuel A. Morán and starring Modesto Lacén in the title role. 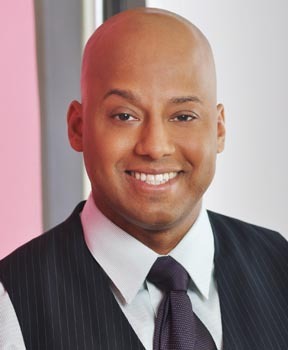 The show (with choreography by Luis Salgado) will start performances for an open run in February at the Puerto Rican Traveling Theatre in the theater district of midtown Manhattan. 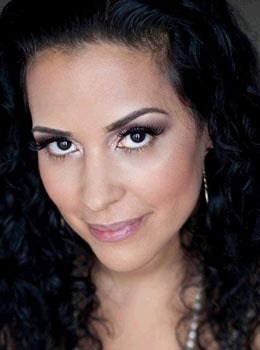 The cast also includes Morán, Josean Ortiz, Lorraine Vélez, Anthony Cotto, Xiomara Rodríguez, Fidel Vicioso, Johanna Rodríguez, Omar Pérez and María del Mar González. Robmariel Olea, shown at left, was featured in an article for Listín Diario, based in the Dominican Republic. To read the article (which also mentions HOLA), click here (note that the article is in Spanish). Iván Camilo, Maité Bonilla and Rosie Berrido appear in the film Under My Nails. The film was accepted as an official entry of the Rencontres de Cinéma Sud-Américain Film Festival in Marseille, France. The film was written by Kisha Tikina Burgos, directed by Ari Maniel Cruz and also features Burgos, Marilú Acosta, Dolores Pedro, Enrique Juliá, Miranda Purcell and Antonio Pantojas in the cast. Mauricio Bustamante will be playing Malvolio in William Shakespeare's Twelfth Night, or What You Will. Produced by the Lee Strasberg Theatre and Film Institute, the production is directed by Geoffrey Horne, features Norberto Briceño and Eric Campos in the cast and is scheduled for a late January run in the Marilyn Monroe Theatre, located in the Union Square area of Manhattan. For more information, click here. Ávila Productions is presenting the world premiere of Begonya Plaza's Teresa's Ecstasy. 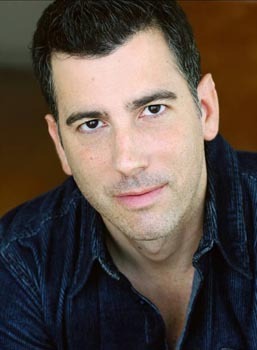 Directed by Will Pomerantz, the production stars Shawn Elliott, Linda Larkin and Plaza and will have a March and April run at the famed Cherry Lane Theatre, located in Manhattan's West Village. For more information, click here. Check out this article by Mireya Navarro in The New York Times regarding Latinos/Hispanics and racial identity by clicking here.